The New Partners for Smart Growth conference is a favorite of mine that I’ve attended four of the last five years - basically since I entered the planning profession after my former life in pure software development. New Partners brings together urban planners from government and the private sector, all of whom are bent on major positive change whether or not there’s any federal cooperation. The thematic tracks of the conference reflected this, focusing on rural/small towns, water, climate, transportation, health, housing, smart growth, and inclusivity. Being a public space and transit geek, I hung out in the transportation track, and that track naturally spilled over into issues of public space, housing, growth, and equity, not to mention the usual endless anticipation and conjecturing about autonomous cars. 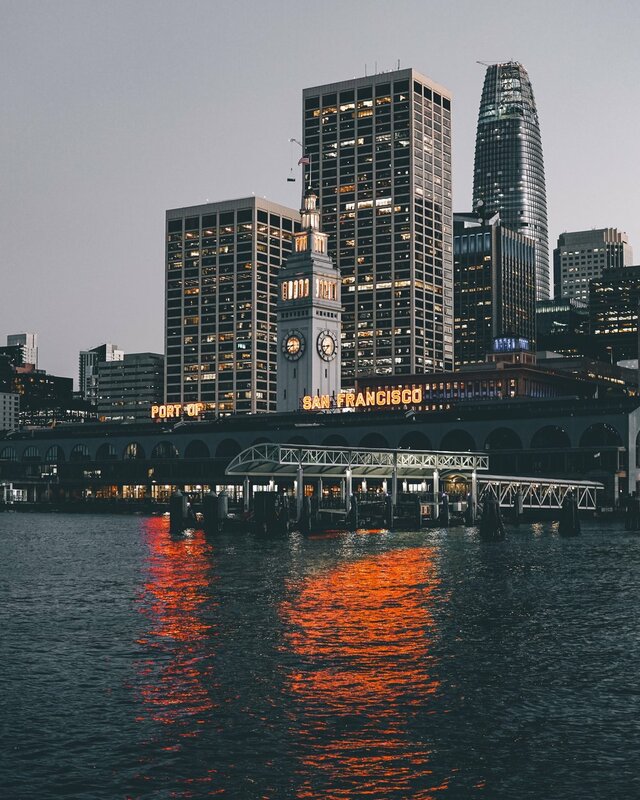 Outside the conference walls, I was able to share the riches of San Francisco - across the bay from my hometown of Oakland - with a couple of San Francisco newbies and repeat visitors. I surged with pride at the beauty of the city-scape and our cultural delight: cable cars, China Town, and hip patio bars hidden behind Victorian-era facades. At the same time I cringed as the devastating homelessness shocked our visitors, and I lamented our misuse of public space that often chokes six lanes worth of our most visited streets with needless car traffic and parking. And I say needless almost literally. Although San Francisco’s transit and cycling has a long way to go, the vast majority of people don’t need a car to get around, and the cost of parking and insane traffic goes a long way to discourage personal car use, if not ride hailing. San Francisco is serious about improving its transit and cycling, but like other American cities, it isn’t having any significant conversation about whether or not cars belong in city. Instead, the discussion leans toward how to manage our home-town ride sharing giants, Lyft and Uber, as well as the corporate buses and the emerging autonomous cars of local players like Google and Tesla. Do Cars Even Belong Here? If we accept autonomous cars and a dramatic decrease in car ownership as imminent (they are), it should clear the way for a sane discussion about where cars belong and where they don’t. In San Francisco, the only place we discuss going car-free is on Market Street, where significant improvements are phasing out cars so that the city’s most important street can be dedicated to transit, bikes, and people. 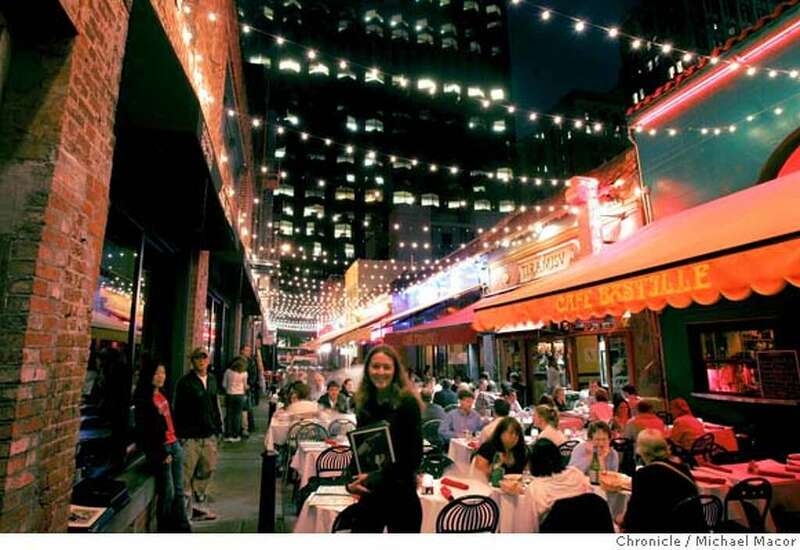 Curiously, the only streets fully free of cars are the city’s alleys and lanes that are increasingly used to host shops and restaurants with outdoor seating, which fills much of the space. Much like Venice, the absence of cars in these narrow places is mainly an accident of them being too hard to get cars into, but the consequences are delightful, as the alleys are among the most loved restaurant spots in the city! Planning conferences spur deep discussions about the consequence of autonomous cars, but let’s also discuss the possibility that many streets can now be free of cars - but for exceptional needs and limited delivery hours - like in city-centers in Europe, and people can simply walk a few blocks to access a street that permits cars. If we no longer own, drive, or store our own cars, we certainly don’t need them on every street. We can also eliminate many left turns and limit minor intersection use to cyclists and emergency vehicles. Autonomous cars can help us create car-free streets: Nobody riding in an autonomous car will mind if the car has fewer routing options - the car just figures it out while the passengers distract themselves. CLICK TO TWEET! Getting cars fully off of most streets and removing off-street parking lots opens up a slew of space for transit, bikes, and people. It also frees up millions of acres of the most expensive real-estate on earth for desperately needed urban housing, not just in San Francisco but in every city in the world. At State of Place we are uniquely qualified to quantify the value of streets, and nothing shoots up a State of Place Index like removing cars. Car-free streets are far more walkable (duh), and it's proven that as the State of Place Index increases, so does office, residential, and retail rents, retail revenues, and for-sale residential values. 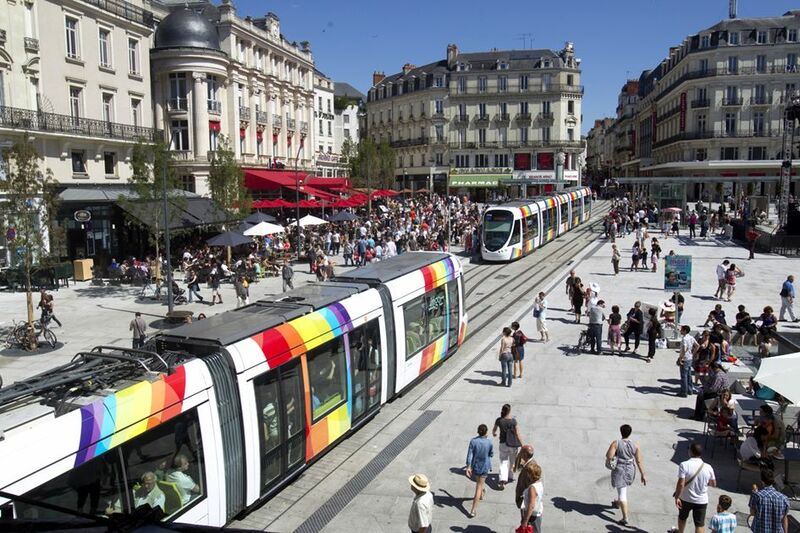 So the next time you’re musing about autonomous cars in your city, also think about how this will enable you to strategically curb the cars so that people, transit, and that cute café seating can flourish. Just imagine your community actually enjoying street-life and all those checkered tablecloths! State of Place can show you how to get there. Show Me How to create a car-free street! Does your city have any car-free streets? Tweet us a picture - we'd love to see!